None; the programme was voluntarily dismantled in 1989. From the 1960s to the 1980s, South Africa pursued research into weapons of mass destruction, including nuclear, biological, and chemical weapons. Six nuclear weapons were assembled. Before the anticipated changeover to a majority-elected African National Congress-led government in the 1990s, the South African government dismantled all of its nuclear weapons, the first state in the world which voluntarily gave up all nuclear arms it had developed itself. The country has been a signatory of the Biological Weapons Convention since 1975, the Treaty on the Non-Proliferation of Nuclear Weapons since 1991, and the Chemical Weapons Convention since 1995. In February 2019, South Africa ratified the Treaty for the Prohibition of Nuclear Weapons, becoming the first country to have had nuclear weapons, disarmed them and gone on to sign the treaty. The Republic of South Africa's ambitions to develop nuclear weapons began in 1948 after giving commission to South African Atomic Energy Corporation (SAAEC), the forerunner corporation to oversee nation's uranium mining and industrial trade. In 1957, South Africa reached an understanding with the United States after signing a 50-year collaboration under the U.S.-sanctioned programme, Atoms for Peace. The treaty concluded the South African acquisition of a single nuclear research reactor and an accompanying supply of highly enriched uranium (HEU) fuel, located in Pelindaba. In 1965, the U.S. subsidiary, the Allis-Chalmers Corporation, delivered the 20MW research nuclear reactor, SAFARI-1, along with ~90% HEU fuel to South African nuclear authority. In 1967, South Africa decided to pursue plutonium capability and constructed its own reactor, SAFARI-2 reactor also at Pelindaba, that went critical using 606 kg of 2% enriched uranium fuel, and 5.4 tonnes of heavy water, both supplied by the United States. The SAFARI-2 reactor was intended to be moderated by heavy water, fuelled by natural uranium while the reactor's cooling system used molten sodium. In 1969, the project was abandoned by the South African government because the reactor was draining resources from the uranium enrichment program that had begun in 1967. South Africa began to focus on the success of its uranium enrichment programme which was seen by its scientists as easier compared to plutonium. 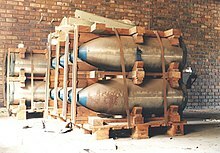 South Africa was able to mine uranium ore domestically, and used aerodynamic nozzle enrichment techniques to produce weapons-grade material. In 1969, a pair of senior South African scientists met with Sültan Mahmoud, a nuclear engineer from Pakistan based at the University of Birmingham, to conduct studies, research and independent experiments on uranium enrichment. The South African and Pakistani scientists studied the use of aerodynamic-jet nozzle process to enrich the fuel at the University of Birmingham, later building their national programs in the 1970s. It is not clear how much knowledge they gained and to what extent they cooperated. South Africa gained sufficient experience with nuclear technology to capitalise on the promotion of the U.S. government's Peaceful Nuclear Explosions (PNE) program. Finally in 1971, South African minister of mines Carl de Wet gave approval of the country's own PNE programme with the publicly stated objective of using PNEs in the mining industry. The date when the South African PNE programme transformed into a weapons program is a matter of some dispute. The possibility of South Africa collaborating with France and Israel in the development of nuclear weapons was the subject of speculation during the 1970s. South Africa developed a small finite deterrence arsenal of gun-type fission weapons in the 1980s. Six were constructed and another was under construction at the time the program ended. South Africa only produced an operational weapon after Armscor took over production. In 1982, Armscor built the first operational weapon, code-named Hobo and later called Cabot. This device reportedly had a yield of 6 kilotons of TNT. It was eventually disassembled and the warhead reused in a production model bomb. Armscor then built a series of pre-production and production models under the code-name Hamerkop after a bird. While Hobo/Cabot were not functional, the Hamerkop series were smart television-guided glide bombs. The South African Atomic Energy Board (AEB) selected a test site in the Kalahari Desert at the Vastrap weapons range north of Upington. Two test shafts were completed in 1976 and 1977. One shaft was 385 metres deep, the other, 216 metres. In 1977, the AEB established its own high-security weapons research and development facilities at Pelindaba, and during that year the program was transferred from Somchem to Pelindaba. In mid-1977, the AEB produced a gun-type device—without a highly enriched uranium (HEU) core. Although the Y-Plant was operating, it had not yet produced enough weapons-grade uranium for a device. As has happened in programmes in other nations, the development of the devices had outpaced the production of the fissile material. Atomic Energy Commission officials say that a "cold test" (a test without uranium-235) was planned for August 1977. An Armscor official who was not involved at the time said that the test would have been a fully instrumented underground test, with a dummy core. Its major purpose was to test the logistical plans for an actual detonation. How that test was cancelled has been well publicised. Soviet intelligence detected test preparations and in early August alerted the United States; US intelligence confirmed the existence of the test site with an overflight of a Lockheed SR-71 spy plane. On 28 August, The Washington Post quoted a US official: "I'd say we were 99 percent certain that the construction was preparation for an atomic test." The Soviet and Western governments were convinced that South Africa was preparing for a full-scale nuclear test. During the next two weeks in August, the Western nations pressed South Africa not to test. The French foreign minister warned on 22 August of "grave consequences" for French-South African relations. Although he did not elaborate, his statement implied that France was willing to cancel its contract to provide South Africa with the Koeberg nuclear power reactors. In 1993, Wynand de Villiers said that when the test site was exposed, he ordered its immediate shutdown. The site was abandoned and the holes sealed. One of the shafts was temporarily reopened in 1988 in preparation for another test, which did not take place; the move was intended to strengthen South Africa's bargaining position during negotiations to end the war with Angola and Cuba. 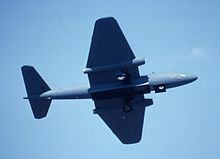 The warheads were originally configured to be delivered from one of several aircraft types then in service with the South African Air Force (SAAF), including the Canberra B12 and the Hawker Siddeley Buccaneer. Concerns about the vulnerability of the ageing aircraft to the Cuban anti-aircraft defence network in Angola subsequently led the SADF to investigate missile-based delivery systems. The missiles were to be based on the RSA-3 and RSA-4 launchers that had already been built and tested for the South African space programme. According to Al J Venter, author of How South Africa built six atom bombs, these missiles were incompatible with the available large South African nuclear warheads. Venter claims that the RSA series, being designed for a 340 kg payload, would suggest a warhead of some 200 kg, "well beyond SA's best efforts of the late 1980s." Venter's analysis is that the RSA series was intended to display a credible delivery system combined with a separate nuclear test in a final diplomatic appeal to the world powers in an emergency even though they were never intended to be used in a weaponized system together. Three rockets had already been launched into suborbital trajectories in the late 1980s in support of development of the RSA-3 launched Greensat Orbital Management System (for commercial satellite applications of vehicle tracking and regional planning). Following the decision in 1989 to cancel the nuclear weapons program, the missile programs were allowed to continue until 1992, when military funding ended, and all ballistic missile work was stopped by mid-1993. In order to join the Missile Technology Control Regime, the government had to allow American supervision of the destruction of key facilities applicable to both the long range missile and the space launch programmes. David Albright and Chris McGreal have claimed that South African projects to develop nuclear weapons during the 1970s and 1980s were undertaken with some cooperation from Israel. The United Nations Security Council Resolution 418 of 4 November 1977 introduced a mandatory arms embargo against South Africa, also requiring all states to refrain from "any co-operation with South Africa in the manufacture and development of nuclear weapons". In 2000, Gerhardt claimed that Israel agreed in 1974 to arm eight Jericho II missiles with "special warheads" for South Africa. In 2010, The Guardian released South African government documents that it alleged confirmed the existence of Israel's nuclear arsenal. According to The Guardian, the documents were associated with an Israeli offer to sell South Africa nuclear weapons in 1975. Israel categorically denied these allegations and said that the documents do not indicate any offer for a sale of nuclear weapons. Israeli President Shimon Peres said that The Guardian article was based on "selective interpretation... and not on concrete facts." Avner Cohen, author of Israel and the Bomb and the forthcoming The Worst-Kept Secret: Israel's Bargain with the Bomb, said "Nothing in the documents suggests there was an actual offer by Israel to sell nuclear weapons to the regime in Pretoria." South African forces feared the threat of a "domino effect" in favour of communism, represented in southern Africa by Cuban proxy forces in Angola and threatening Namibia. In 1988, South Africa signed the Tripartite Accord with Cuba and Angola, which led to the withdrawal of South African and Cuban troops from Angola and independence for Namibia. The pre-emptive elimination of nuclear weapons was expected to make a significant contribution toward regional stability and peace, and also to help restore South Africa's credibility in regional and international politics. F.W. de Klerk saw the presence of nuclear weapons in South Africa as a problem. Klerk disclosed the information about his weapons to the United States in an effort to get the weapons removed. South Africa ended its nuclear weapons programme in 1989. All the bombs (six constructed and one under construction) were dismantled and South Africa acceded to the Treaty on the Non-Proliferation of Nuclear Weapons when South African Ambassador to the United States Harry Schwarz signed the treaty in 1991. On 19 August 1994, after completing its inspection, the International Atomic Energy Agency (IAEA) confirmed that one partially completed and six fully completed nuclear weapons had been dismantled. As a result, the IAEA was satisfied that South Africa's nuclear programme had been converted to peaceful applications. Following this, South Africa joined the Nuclear Suppliers Group (NSG) as a full member on 5 April 1995. South Africa played a leading role in the establishment of the African Nuclear-Weapon-Free Zone Treaty (also referred to as the Treaty of Pelindaba) in 1996, becoming one of the first members in 1997. South Africa also signed the Comprehensive Nuclear-Test-Ban Treaty in 1996 and ratified it in 1999. The Treaty of Pelindaba came into effect on 15 July 2009 once it had been ratified by 28 countries. This treaty requires that parties will not engage in the research, development, manufacture, stockpiling acquisition, testing, possession, control or stationing of nuclear explosive devices in the territory of parties to the treaty and the dumping of radioactive wastes in the African zone by treaty parties. The African Commission on Nuclear Energy, in order to verify compliance with the treaty, has been established and will be headquartered in South Africa. As of 2015, South Africa still possessed most of the weapons grade uranium extracted from its nuclear weapons, and had used some of it to produce medical isotopes. There had been 3 security breaches at Pelindaba since the end of Apartheid, with a 2007 breach described by a former US official as being "horrifying", although the South African government dismissed the 2007 breach as a "routine burglary". In October 1998, the report of the South African Truth and Reconciliation Commission included a chapter on Project Coast, a clandestine government chemical and biological warfare program conducted during the 1980s and 1990s. Project Coast started in 1983, ostensibly to produce equipment for defensive purposes, including masks and protective suits. Despite vehement assertions to the contrary, some testimony appeared to show that the programme went well beyond defensive purposes. Headed by Major General N. J. Nieuwoudt, a South African Air Force officer, Project Coast emerged in the early 1980s as South Africa became increasingly involved in the Angolan Civil War. Nieuwoudt recruited South African cardiologist and army officer, Wouter Basson, to direct the program and ultimately Nieuwoudt and Basson recruited a large contingent of medical professionals and weapons specialists to take part. Many of these individuals who joined the project did so out of patriotism and the belief they were contributing to South Africa's national security, a view formed, in part, by Basson's charisma. Several front companies were created, notably the Delta G Scientific Company, and Roodeplaat Research Laboratories, to facilitate the research and development of chemical and biological weapons. Several offensive weapons were created including anthrax in cigarettes, and paraoxon in whiskey. Several weapons created by Project Coast were used such as the introduction of infertility toxin into black townships, cholera into the water sources of some South African villages, and the alleged use of anthrax against guerrillas in neighbouring Rhodesia. The program operated until 1993. ^ a b c d e f g h i j k Executive release. "South African nuclear bomb". Nuclear Threat Initiatives. Nuclear Threat Initiatives, South Africa (NTI South Africa). Archived from the original on 28 September 2012. Retrieved 13 March 2012. ^ John Pike. "Nuclear Weapons Program – South Africa". Globalsecurity.org. Archived from the original on 25 May 2011. Retrieved 15 May 2011. ^ a b c Chaudhry, PhD (Political science), M.A. "Separating Myth from Reality§ The Uranium Enrichment programme: Building Kahuta Research Laboratories (KRL)". Professor Mohammad Ali Chaudhry (professor of Political Science). M.A. Chaudhry's article published at The Nation, 1999. Archived from the original on 8 July 2011. Retrieved 5 March 2012. ^ "Carl Rowan: South Africa emulates Nazi Germany (1977)". The Sedalia Democrat. 26 October 1977. p. 19. Archived from the original on 31 August 2017. Retrieved 31 August 2017. ^ "Scenarios Always See Confrontation (Israel, South Africa, nuclear weapons) (1977)". Colorado Springs Gazette-Telegraph. 24 November 1977. p. 137. Archived from the original on 31 August 2017. Retrieved 31 August 2017. ^ "South Africa: Nuclear Case Closed?" (PDF). National Security Archive. 19 December 1993. Archived (PDF) from the original on 29 August 2008. Retrieved 26 August 2008. ^ a b Lewis, Jeffrey (3 December 2015). "Revisiting South Africa's Bomb". Arms Control Wonk. Leading Voices on Arms Control, Disarmament and Non-Proliferation. Archived from the original on 6 December 2015. Retrieved 6 December 2015. ^ U.S. Military Involvement in Southern Africa. South End Press. 1978. ISBN 978-0-89608-041-6. ^ "South Africa and the Affordable Bomb". Bulletin of the Atomic Scientists. Jul 1994: 41. July 1994. ^ "South Africa is about to test atomic bomb, France claims (1977)". Valley News. 23 August 1977. p. 3. Archived from the original on 31 August 2017. Retrieved 31 August 2017. ^ Frank V. Pabian. "South Africa's Nuclear Weapon Program: Lessons For U.S. Non Proliferation Policy" (PDF). James Martin Center for Nonproliferation Studies. p. 8. Archived (PDF) from the original on 7 April 2010. Retrieved 8 December 2008. ^ Horton, Roy E. (6 May 2018). Out of (South) Africa: Pretorias Nuclear Weapons Experience. DIANE Publishing. ISBN 9781428994843. Retrieved 6 May 2018 – via Google Books. ^ Engelbrecht, Leon. "Book Review: How SA built six atom bombs - defenceWeb". www.defenceweb.co.za. Archived from the original on 26 August 2014. Retrieved 6 May 2018. ^ Chris McGreal (7 February 2006). "Brothers in arms — Israel's secret pact with Pretoria". The Guardian. London. Archived from the original on 25 July 2008. ^ Albright D (August 1994). "South Africa and the Affordable Bomb". Bulletin of the Atomic Scientists. ^ Unknown author. "RSA Nuclear Weapons Program". Federation of American Scientists. Archived from the original on 7 October 2006. ^ "UNSCR 418 of 4 November 1977: States should refrain from "any co-operation with South Africa in the manufacture and development of nuclear weapons"". United Nations. Archived from the original on 17 August 2011. Retrieved 15 May 2011. ^ "South Africa: Missile". Nuclear Threat Initiative. November 2011. Archived from the original on 13 May 2013. ^ "P.W. Botha felt Israel had betrayed him". Jerusalem Post. 2 November 2006. Archived from the original on 6 July 2013. Retrieved 2 November 2006. ^ "Aziz Pahad's statement and retraction discussed here". Archived from the original on 24 February 2011. Retrieved 15 May 2011. ^ South Africa and the affordable bomb, David Albright, The Bulletin of the Atomic Scientists Archived 28 January 2018 at the Wayback Machine Jul 1994, pp 37. ^ "Tracking Nuclear Proliferation". PBS Newshour. 2 May 2005. Archived from the original on 11 December 2013. ^ McGreal, Chris (24 May 2010). "Revealed: how Israel offered to sell South Africa nuclear weapons". The Guardian. UK. Archived from the original on 25 May 2010. Retrieved 24 May 2010. ^ McGreal, Chris (24 May 2010). "The memos and minutes that confirm Israel's nuclear stockpile". The Guardian. UK. Archived from the original on 25 May 2010. Retrieved 24 May 2010. ^ Kershner, Isabel (24 May 2010). "Israel Denies It Offered South Africa Warheads". The New York Times. Archived from the original on 30 June 2017. ^ "Avner Cohen: Yitzhak Rabin would have opposed sale of nuclear weapons". The Independent. London. 25 May 2010. Archived from the original on 19 September 2011. ^ Uri, Friedman (9 September 2017). "Why One President Gave Up His Country's Nukes". The Atlantic. Retrieved 20 June 2018. ^ "African Nuclear Weapons Free Zone Treaty". Department of Foreign Affairs, Republic of South Africa. Archived from the original on 21 August 2006. Retrieved 28 July 2006. ^ "U.S. Frets over South African vault with enough fuel for 6 nuclear bombs". ^ "How armed intruders stormed their way into a South African nuclear plant". ^ Roy E. Horton, USAF Institute for National Security Studies (1999). Out of (South) Africa: Pretoria's Nuclear Weapons Experience. Dianne Publishing. p. 17. ISBN 9781428994843. ^ Helen E. Purkitt; Stephen Franklin Burgess (2005). South Africa's Weapons of Mass Destruction. Indiana University Press. pp. 94–98. ISBN 978-0-253-21730-1. Archived from the original on 6 May 2018. ^ "South Africa - Countries". NTI. 29 October 1998. Archived from the original on 24 February 2018. Retrieved 23 February 2018. ^ "What Happened In South Africa? - Plague War - FRONTLINE". PBS. 18 November 2015. Archived from the original on 24 February 2018. Retrieved 23 February 2018. ^ Singh, Jerome Amir (1 March 2008). "Project Coast: eugenics in apartheid South Africa". Endeavour. 32 (1): 5–9. doi:10.1016/j.endeavour.2008.01.005. ISSN 0160-9327. PMID 18316125. Joseph Cirincione, Jon B. Wolfsthal, Miriam Rajkumar. Deadly Arsenals: Nuclear, Biological, and Chemical Threats. Washington D.C.: Carnegie Endowment For International Peace, 2005. Wikimedia Commons has media related to Nuclear weapons program of South Africa. The Woodrow Wilson Center's Nuclear Proliferation International History Project The Wilson Center's Nuclear Proliferation International History Project contains primary source material on South Africa's nuclear weapons program. This page was last edited on 8 March 2019, at 11:28 (UTC).